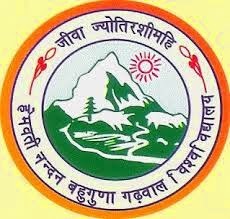 Sridev Suman University B.Com 1st Year Exam Result 2014:- The Sridev Suman University is one of the leading public universities of the Uttarakhand state. It was come into existence in the year 2012. The main campus of the Sridev Suman University is located in the Badshahithol Tehri Garhwal, and many other colleges are affiliated by this university. It offers various courses to students and every year man students enroll in this university for their studies.